Working with a good PT can eliminate a lot of the guesswork involved in choosing a cookie cutter exercise program off the internet or simply copying what works for your friend as the program the trainer creates for you will be tailored specifically for YOU and YOUR own goals. It’s a common misconception that personal trainers are only for models or celebrities. Anyone can hire a PT regardless of age, weight, finances; whilst those who are better off might simply choose to have the PT with them every time they workout others might decide to see their PT once a fortnight to review progress on their exercise program and discuss any potential adaptations they might require. Motivation: We all need a motivator to help us achieve our goals sometimes. Personal trainers can help provide you with smart and efficient ideas for your training as well as helping you work through the discomfort of those latter reps, or latter minutes of cardio thus getting you better results. Your Personal Trainer tailors a unique exercise plan based on your overall fitness goals and personal information and breaks it down into short term goals so you can really see yourself progressing. Consistency: Do you find it hard to stick to your workouts? regular appointments with a PT for at least the first 30 days will help motivate you to turn up to your sessions as you will have structured appointments penciled in with the PT. After the first 30 days you could then reduce the number of sessions you have with the PT as you will have found yourself getting into a consistent routine. Individualized Instruction: One of the main roles of a personal trainer is to evaluate your personal fitness and goals and create a program specifically for you. What works for person A, may not work for person B when it comes to selecting an exercise program. Beginners to exercise also benefit a great deal from the supervision of a PT as they will be properly shown how to use equipment and perform exercises and have their form corrected if it’s not right – encouraging exercises to focus on the correct form from the offset – providing better results and lowering the risk of injury. Supervision: Perhaps the most important function of a personal trainer; supervising during exercise and ensuring correct form so that a) you get the most out of the exercise and b) so that you don’t get injured. A personal trainer is also great to help assist you through your first pull ups, to spot you on the bench, give you feedback on your running form… A good PT will assist, observe and correct you where necessary. Effective Workouts: Today’s hectic lifestyles mean you don’t have hours and hours every day to waste at the gym on ineffective exercise routines. A personal trainer will prescribe exactly the amount of sessions (of reasonable duration) required to help you meet your goals whilst fitting your training in amongst your work and family life. Nutritional Advice: The fit people you see at your workplace, in the health food section of a supermarket; sure their hard work at the gym or on the track played a part but they were mostly created in their own kitchens. A good personal trainer should have extensive knowledge of the principles of nutrition and eating for performance, weight/fat loss and or muscle gain and advise you accordingly to supplement your exercise program. Remember: You can’t out train a bad diet. It’s said that training accounts for 30% whilst nutrition weighs in at a massive 70% of peoples overall health and performance. So there you have it, the seven main reasons to hire a Personal Trainer. If you’ve decided to take the next step toward your goal and you are in the Sutton Coldfield area find out more about my in-person Personal Training Services. A bit further afield? 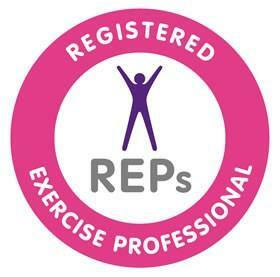 I can also offer competitively priced Online Personal Training. And as ever if you have any questions about my services or even a general health & fitness question feel free to contact me.